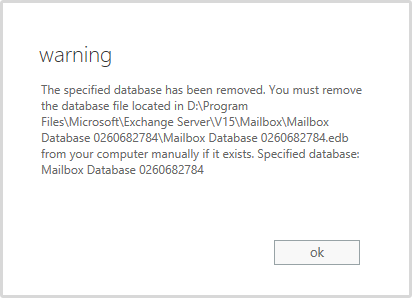 This is the error message you will encounter when trying to delete the database. Start by moving all the mailboxes to the new database. This command will move all (almost – more on that later) mailboxes to the database of your choice. Tip: Use the parameter –WhatIf to run the command without actually running it. Perfect to discover errors in commands. We’re not ready to remove the database yet. There are still some hidden mailboxes left in the database. 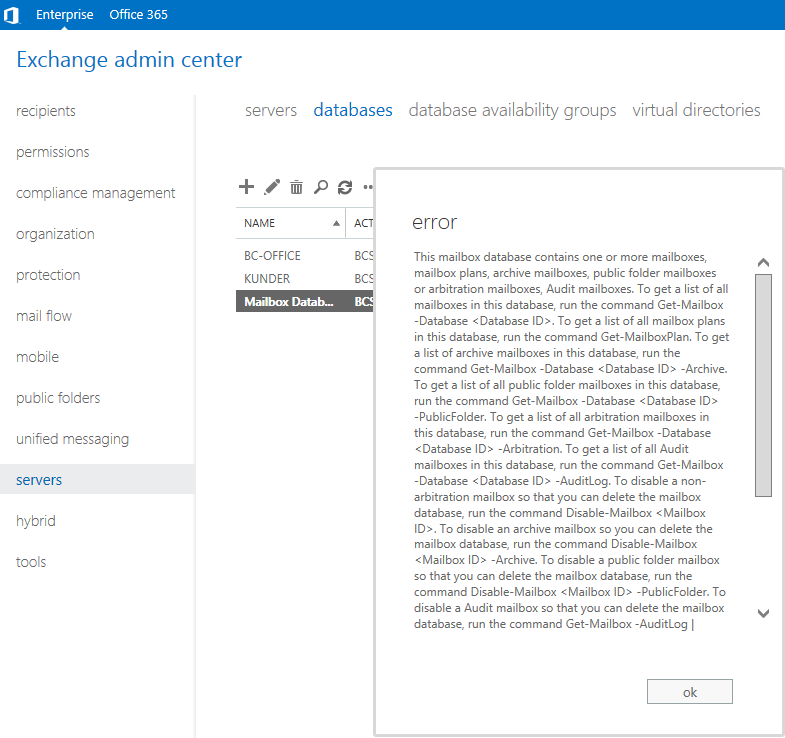 The Arbitration mailboxes are created by default when you add the first Exchange server to your organization. To see those mailboxes you must use the –Arbitration parameter. Enter the command Get-Mailbox –Arbitration to see them. They are now queued, and to check the status run the command Get-MoveRequest again. Wait until all of them are completed. You can now go back to the Exchange admin center and remove the default database. It will throw a warning telling you to remove the database files from disk as well.